Our Maris ring is a study in beauty, elegance, and rich texture. 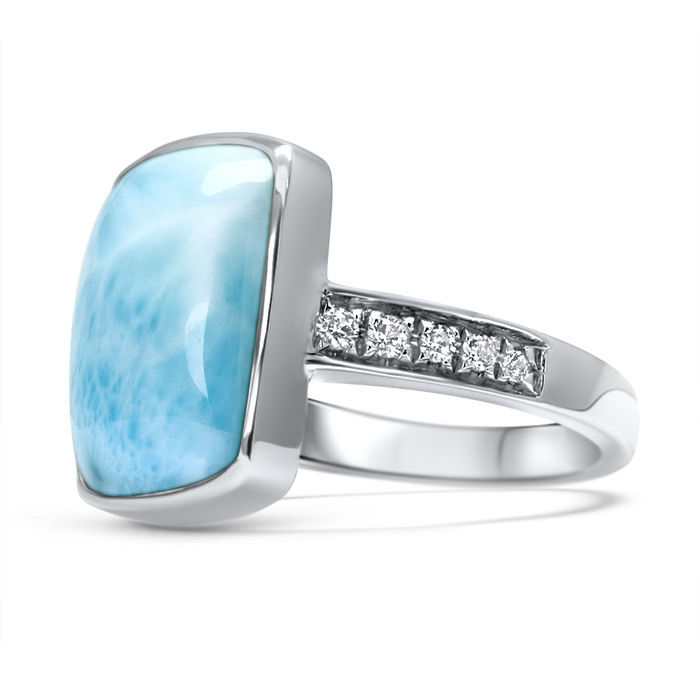 A rectangle of our luminous larimar is wrapped in sterling silver and accompanied by white sapphires on the band. Simply gorgeous. Product Details: 10x13mm larimar gemstone with white sapphire and sterling silver. 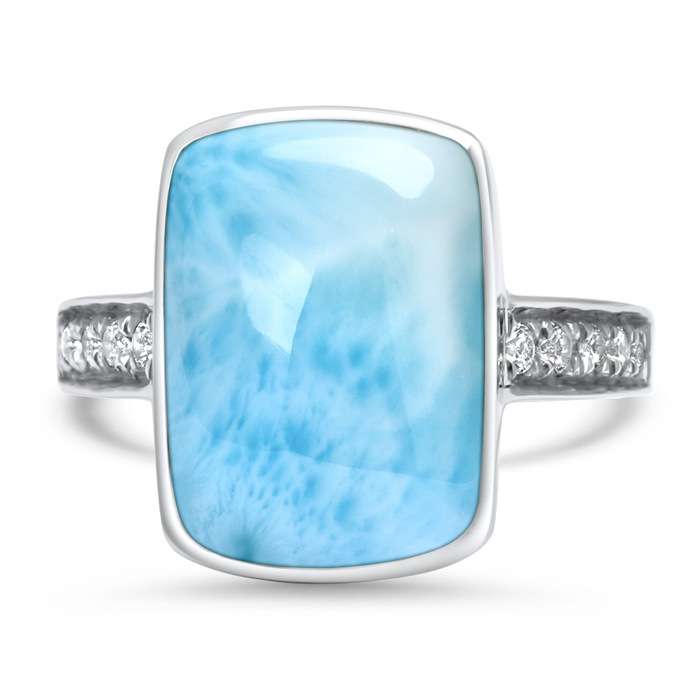 Every piece of larimar contains slightly different hues, color saturations, and markings that give it its unique and compelling qualities. 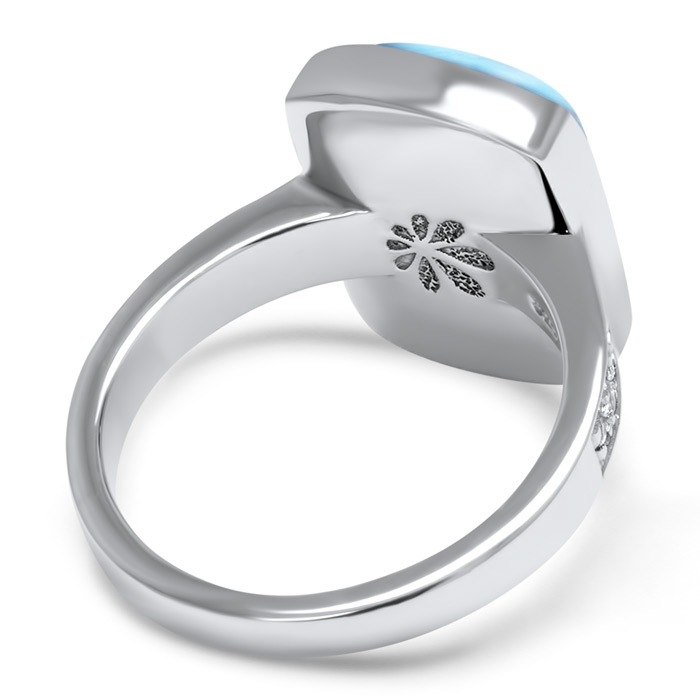 As a result, the larimar in your jewelry may appear slightly different from the larimar depicted online. If you are trying to match the stone color on an existing larimar jewelry piece, get in touch with us or visit one of our stores in person. Store Locator. If we are out of stock on this item, you can be the first to know when they become available again! Digital cards are Emailed the address you provide. They can be printed and forwarded as necessary. Physical gift cards will be shipped to the address provided at checkout. Most e-gift card orders arrive within a few minutes, but please allow up to 24 hours. © Marahlago 2019. All Rights Reserved.